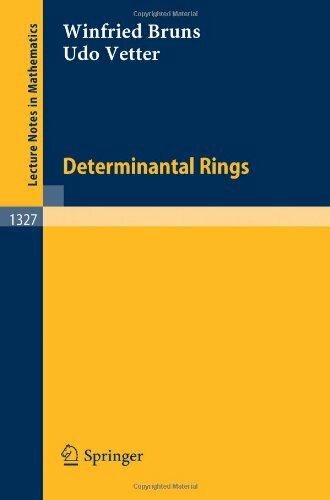 Determinantal rings and varieties have been a central topic of commutative algebra and algebraic geometry. Their study has attracted many prominent researchers and has motivated the creation of theories which may now be considered part of general commutative ring theory. The book gives a first coherent treatment of the structure of determinantal rings. The main approach is via the theory of algebras with straightening law. The book covers linear algebraic groups and arithmetic groups, adeles and arithmetic properties of algebraic groups, automorphic functions and spectral decomposition of L2-spaces, vector valued cohomology and deformation of discrete subgroups, etc. This text is a brief introduction to algebraic geometry. We will focus mainly on two basic results in algebraic geometry, known as Bezout's Theorem and Hilbert's Nullstellensatz, as generalizations of the Fundamental Theorem of Algebra.